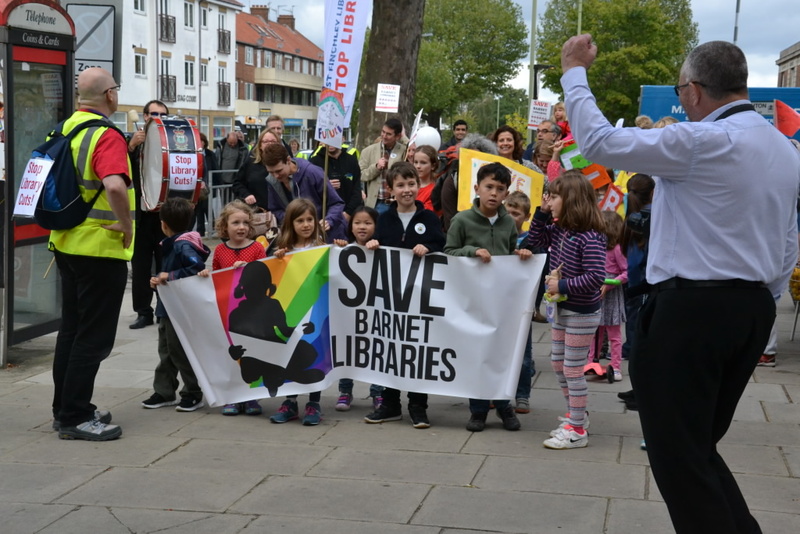 BEVERLEY NAIDOO: Save Barnet Libraries! As soon as this picture popped into my inbox, I knew I had to share it. Both my children were born in Barnet. For some years I also worked in the London Borough of Barnet with children who found reading difficult. That was about forty years ago and I took it for granted that there were local libraries across Barnet containing treasure troves of books for children. For young readers who struggled with squiggles on a page, it was only a matter of time before we found the keys that opened the doors for them into the exciting world of books. "Books open doors of the imagination, doors of opportunity - but not everybody can buy books. Figures show that one in three children in the UK do not own a book - if you close libraries those children cannot borrow books either. Young families, schoolchildren, students, the elderly, disabled, unemployed and many more people use and love the threatened Liverpool libraries - what will they do once they are gone?" I agree with every word. Libraries are not a luxury. Or are we to go back to the age when literacy and literature were only for the wealthy? Go to any National Trust or English Heritage great house and you will find it contains a large library. Andrew Carnegie (after whom the Carnegie Medal for Children's Literature is named) was born in a humble cottage in Scotland and, having made a fortune as an industrialist in America , gave much of this to develop educational and cultural institutions, including public libraries. Why? Because he understood that books open doors of the imagination, doors of opportunity - but not everybody can buy books. Let's hope that Barnet's councillors will hold on to their senses and recognise the true value of their precious libraries. To quote Alan again, what will they do once they are gone?